While some people might claim to enjoy unpredictability, many (probably most) of us find it exhausting, stressful and even overwhelming. The old expression that says that “there are two certainties in life: death and taxes” leaves out the most frequent, unpredictable and arguably most stress-inducing inevitability in life: change. As with death and taxes, the challenge isn’t so much that we will have to face inevitable transitions in our lives, as much as how we deal with them. Change is a consistent challenge throughout our working lives, whether we are dealing with job loss, making career decisions, looking for work, starting a new job or career, or just dealing with changes in the workplace (a new boss, different duties or a new software program to master). Mostly, when changes happen, most of us somehow find strength and keep going, facing and handling the new challenges. But every now and then, the stress overwhelms and we begin to doubt our ability to face life’s demands and move forward effectively. The world of work has become an increasingly stressful place, with an increasing number of people working in less secure positions, often for lower pay. Many people are handling multiple responsibilities on the job and are often expected to work long hours, for which they are not always properly paid or recognized. Job search also seems more challenging, with candidates competing with a large number of talented potential hires. Of course, having 24/7 access to news and opinions in social and other media, many of which seem to thrive on drama and gloom, does not help stress either. It is hard to keep a sense of perspective when you are surrounded by negative reports on the economy and job market, inevitably making you feel that you are not competitive enough: too old, too young, insufficiently skilled or experienced, having too much experience, facing discrimination for your ethnicity, race, gender, abilities, country of origin, language, and so many other factors. Over my 25 years of counselling and coaching people as they face job and career changes, I have discovered that there isn’t one way that works for everyone to handle such stress. If you have ever sought support online, from friends or even professionals, you might have found that even though people have lots of advice, there often isn’t much that applies to you specifically. You might have even started to wonder whether there is something terribly wrong with you, since everyone else seems to be coping better than you. Judging from others’ Facebook updates and what you observe, most people you know seem might seem happier, more confident and satisfied with their lives. The thing is that appearances often hide the truth: no one is coping quite as well as it seems on the surface — everyone has their moments of weakness, terror and doubt, often much more commonly than it appears. Reach out for supports from others, whether they are friends or family. Don’t be shy about asking for help from those around you who are willing and able to provide an ear, some support, guidance or even more. Call people up and invite them out for a cup of coffee. Sometimes just the act of sharing your concerns and saying them out loud will give you a new perspective or motivate you to move forward. By reaching out to others, you may be gifting someone with an opportunity to take on a helpful role that they always wanted. Get advice and help from professionals. Remember that organisations such as JVS Toronto exist to provide services and expertise that might help you achieve your career or work goals. There are also many online resources that might help you tweak a resume or find a new way of looking for work (subscribe to the JVS Blog for a guide with resume writing and other tips). 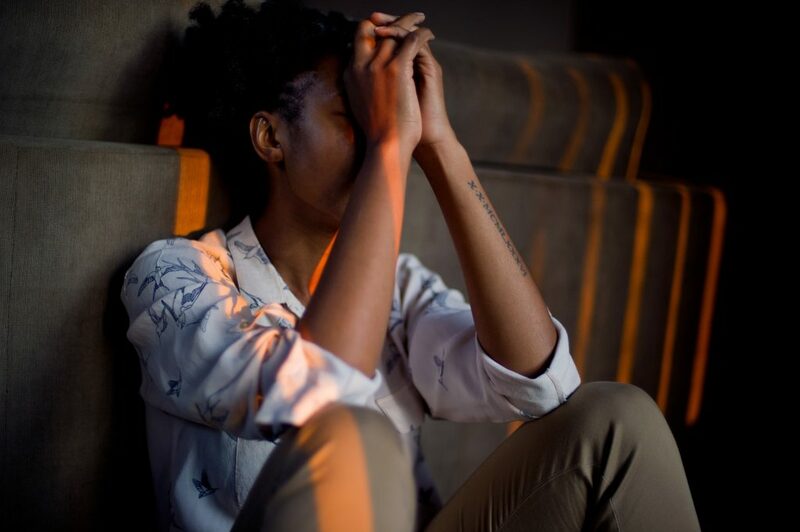 If stress is beginning to overwhelm you and is affecting your ability to function day-to-day, go see your Doctor — they might have some resources that could help, and could refer you as needed. Some physicians even offer psychotherapy as part of their publicly funded services (such as OHIP in Ontario). Mark Twain was right when he said that “If you do what you’ve always done, you’ll get what you always got.” Perhaps you need a new routine or a different way of meeting your goals. If job search is your challenge, try volunteering, taking a course to update your skills, or seeking out new strategies to find work. If you’ve been staying home a lot, make an effort to get out – join an interest group, or if you’re not spending enough time focusing on job search, set aside a few times a week to go the library or local resource centre to do some focused work without the distractions of home. Your mental health also requires attention; borrow a good book from the library, watch a favourite movie or just allow yourself some “me” time. Don’t do it guiltily, otherwise you won’t reap the relaxation benefits. Think of self-care as part of what you have to do to be able to move forward in your life. Make sure to get enough sleep, which is key for focus and stress management. Simply put: change happens and you can’t always control that; but you can influence how you respond to it. Attitude is everything when dealing with change. Taking a positive approach and breaking the problem down into small steps relieves the feeling of being overwhelmed. I found that if I did one thing each day toward making that change (be it a job search, going back to school, or changing careers) empowered me to feel less helpless.